This year Marvel turns 75 and the iconic brand( involved with any and all medium-ranging from comic books to video games), is celebrating its birthday in style. Since the very beginning Marvel has revolutionised comic books and brought their legendary characters to groundbreaking new heights and they now plan on exposing their history in fantastic new ways. Here are 4 ways that you can get involved in the 75th anniversary celebrations. This is the official site for the 75th anniversary celebrations where (once active) new content will be frequently added including insights into the company’s history, a look back at the company’s legacy, and special events happening across the multiple platforms Marvel is involved with (which.. is pretty much everything). As well as looking back over the most statistically iconic and game-changing moments of Marvel’s history they will be interested in hearing what you have to say. We can expect to see opinion polls and votes at Marvel.com where you can share your personal greatest moments in Marvel history. Another way to have your say on what Marvel means to you is by using the hashtag #Marvel75 all year round. Recently announced at SXSW 2014: the Marvel Comics API. 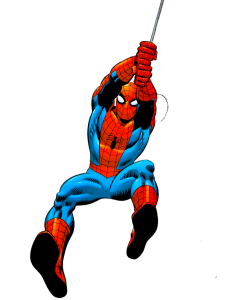 Put quite simply the Marvel Comics API allows users to access endless information on things such as Marvel Comics characters and the comic’s creators in detail to create user-generated content such as interactive timelines. To get a better look at the Marvel Comics API announcement, click HERE. Enjoy another great year for Marvel and let us know what your favourite comics, characters, creators and moments are! Video: WTF is Guardians of the Galaxy?! Red Skull Returns for Captain America: The Winter Soldier?